You can defiantly tell a big difference in power. I recommend, great round just a little too much wax on the CPHP. These have a lot of wax on the copper plated hollow point. That’s made loading mags a pain. But other than that this a great round. And I will purchase more. The CCI Stinger ammo is a little expensive but I always try to buy it when I can find it. Hard to beat CCI ammo. GREAT PRICE ON CCI STINGER AMMO...HOTTEST ROUND OUT THERE. High quality ammo. 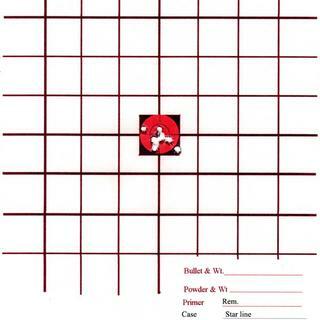 Used in various rifles and pistols no misfires or failure to feeds. Nice quality casing feeds smoothly. It is a tack driver from my Mossberg bolt action. You will not be disappointed with this ammo. Very pleased! Love this ammunition. Extremely accurate in any handgun that I use it in. Would highly recommend. The best 22lr ammo I've ever bought ! The ammo is great. It works in even temperamental 22lr's that some ammo won't work in. It comes in the 100 round plastic sleeves and about half were broken and the rounds were loose in the case. 22 mag performance in 22LR. Great in my Sig 22. 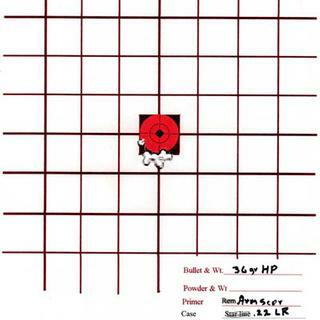 Interestingly, I found the high priced CCI Stingers and the lowest priced, ArmScore 32gr hp. Were the most accurate rounds I tested, with the CCI edging out the ArmScore. Have always loved Stingers for shooting. This was a good deal and with free shipping, icing on the cake. I still use my fathers old model 5 Savage 22lr it shoots these stingers good enough to drive tacks only problem I have ever had with them was finding them! the 50 round boxes came wrapped in saran wrap inside a cardboard box with no packing so they can bounce around. then to top it off the boxes had there seals cut and 5 to 9 rounds were missing in 2 of the containers. if palmetto keeps this up I will not be ordering from them anymore. it also tells me why they sell blemished stuff. Great small game round. Wish I had purchased more. Thanks Palmetto State Armory. CCI stingers are highly recommended to function in any .22LR pistol where others don't cycle. Good stuff. Not the cheapest 22s, but very consistent, accurate, hard hitting ammunition. Works well . . . in the right rifle. The Stinger is one of the most temperamental .22 rimfires available, but when you find a firearm it works in the results are spectacular. In Montana, we have a real varmint season, and the ground squirrels are the perfect size for rimfire rifles (and handguns). I've found the Stingers work exceptionally well in my CZ Model 452 Varmint and even in a Browing Buckmark, much to the dismay of the vermin. Before investing in a brick of them, try a box in your favorite rimfire. I recommend them wholeheartedly. Great product.. These high velocity 22 shells are the best..Price was cheapest on the net.. Plus had FREE shipping..CCI and PALMETTO ARE THE BEST. Will continue to order from PSA! I have ordered from PSA many times and have never been disappointed! I love the Stingers! Great price. Much better accuracy than expected 10/22 with TacSol barrel very happy with the purchase! The best .22 ammo on the market, never had a misfire out of thousands of rounds, I love it. CCI confirms reputation for its outstanding .22 rimfire. CCI’s long standing reputation for high quality .22 rimfire is once more confirmed with this .22LR Stinger. I prefer to shoot these Stingers in .22 cal. rifles, where you can more fully take advantage of its potential for higer velocity. Note that due to the Stingers longer brass length, not all .22’s can chamber this unique cartridge. For pistols I use CCI’s minimags, or standard velocity lead round nose. Ordered (2)50round plastic cases. Arrived 2 weeks from ordered date no biggie as I was in no rush. Ammo was very carefully packaged arrived in perfect condition. Stinger ammo looked beautiful and clean. Perfect! Got on Sale 9.99 plus shipping. I jumped on buying this because 22lr Stinger is very hard to find. Cci is Top Notch! Using these rounds for 30 some odd years. Great for terminating pests. Not so much hunting will do to much damage. That said the shipping sucked. Received 500 rounds in 50 round plastics damage to the exterior shipping box was minimal but the Cci box was torn up and 1 of plastic box was broken 22 s inside the Cci box and also inside of the shipping box. I work in the freight business and damage to stuff is becoming an epidemic. I just love shooting my .22 pistols and rifles. I have found that if a pistol or rifle will not cycle with .22. Ammo and it's not CCI that is being used. I will 99.9% of the time fix the problem with CCI mini-mags or Stingers. By far in MY book the GOLD STANDARD of ammo in rim fire.i was next to a young couple at the range. They were shooting a brand new out of the box pistol. Between trying to figure out why his new pistol would not fire and impress his date he was frustrated to say the least. His ammo would have only been my choice in a single shot revolver. After about his fifth dismantling introduction to his pistol and to not function past first shot. He was packing up and getting ready to leave with humiliation frustration that he may have purchased a POS pistol. I tapped him on the shoulder and said would you please take this pack of CCI mini-mag and give it a try. With doubt in his eye he sez sure. He loads the magazine and low and behold this pistol fired like a brand new $400 .22 auto. He sez how much do I owe you. Nothing and enjoy. I was leaving so I did sell him the last 100 pack of mini -mags I had. They were smiling when I left. The ammo is great in everyway. Frank this is the internet where all of us hit every time from over 100 yards out. Great ammo	very high terminal energy! These rounds always function great in my Simi-auto .22LR rifles and pistols. Nice nickel plated cases. 32 grain hollow point bullets. These are about the hottest .22LR rounds you can buy. 1640 fps muzzle velocity. If you want a good test shake up some 12 oz. root beer soda cans ( full and un-opened ) put them out there 10 yards or so and shoot them with these rounds. The root beer soda should make quite a splash! Pun intended. The aluminum can will be history! Have fun and be safe.